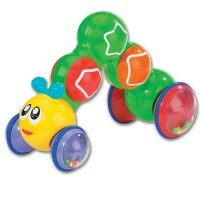 Push this buzzing baby toy top to watch the brightly colored bees spinning around for your baby's joy! 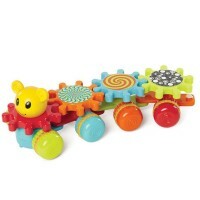 Keep the fascinating bees spinning around! 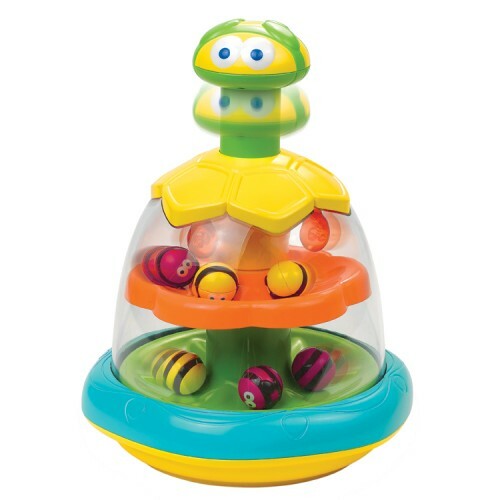 These safe and adorable spinning bees are inside Alex Toys' Spinning Bees Baby Top! 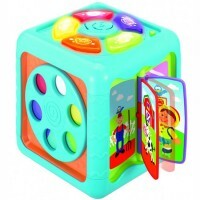 Press the spinner, and this buzzing baby toy top will spin the bees for your baby's joy! Push top to see 2 levels of twirling bees! 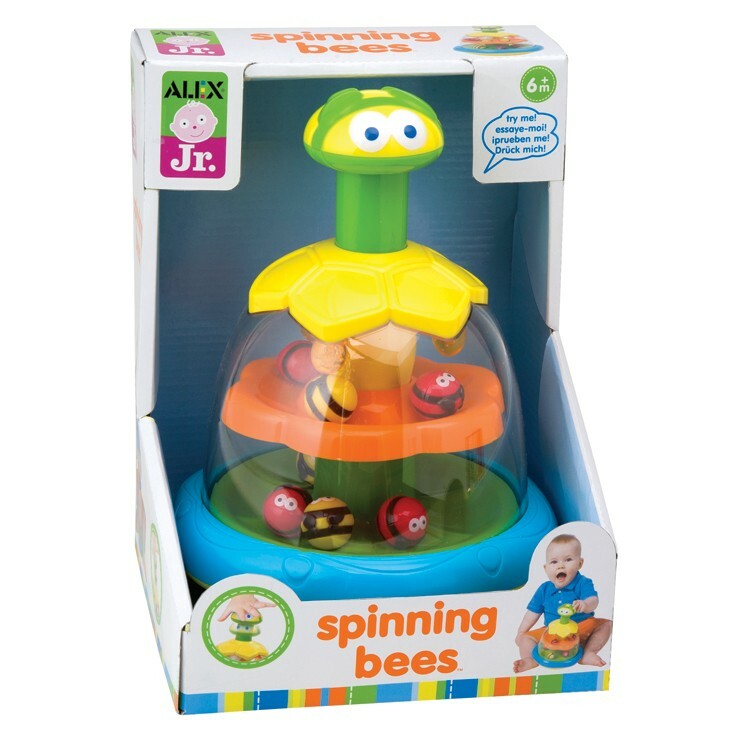 The Spinning Bees Baby Top from Educational Toys Planet guarantees push action fun and helps the little ones to explore cause and effect relationships, and enhance thinking skills. 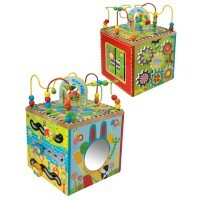 Dimensions of package 10" x 21" x 7"
Write your own review of Spinning Bees Baby Top. 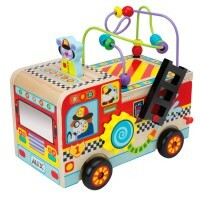 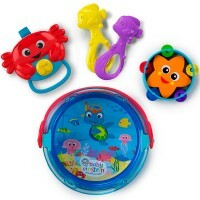 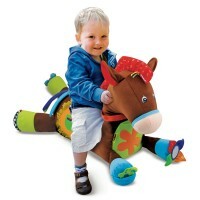 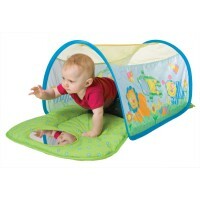 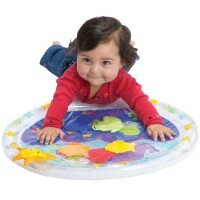 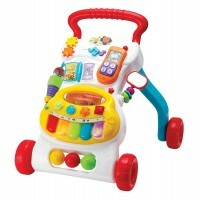 Rating: 5 Great for sensory by Sunshine The colors, movement, and sounds keep the baby smiling!